This blog post is follow-up to my last article. Upcoming on Monday, April 8, 7 PM at the high school is the TE School District Finance Committee meeting and Budget Workshop II. The agenda materials were released last evening – Click here for Finance Committee agenda and Budget Workshop materials. Ever the optimist, I had high hopes that the agenda for the meeting would address budget and accounting questions from the last School Board meeting. Residents raised serious issues at the Board meeting, including the “timing error” of special education expenses. I found nothing in either the agenda for the Finance Committee or the Budget Workshop materials regarding these issues. 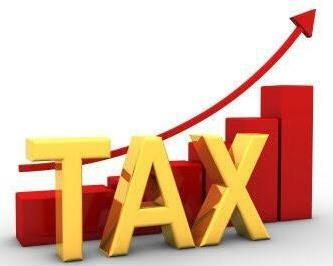 As was discussed in the last blog post, the T/E taxpayers are facing the largest tax increase in decades – 6%. Although the school board has assured us since December that the tax increase would be coming down, the number has only moved from 6.1% in December to 6% in April. As was suggested at the last School Board meeting, resident Ray Clarke believes that the District’s accounting mistake could reduce the proposed tax increase significantly – Ray goes as far as to suggest that the tax increase could be lowered by as much as 50%! I personally asked at the School Board meeting for confirmation that the Board would review this situation – so why isn’t the accounting timing mistake on the Finance Committee or Budget Workshop agenda for discussion? When faced with a 6% tax increase, why wouldn’t the School Board want to look at every opportunity to possibly lower that number? We elected our School Board directors to provide oversight; with independent thought and transparency. In a little over three weeks, on Monday, April 22, the Board will take a vote on the “Proposed Final Budget. Realistically speaking, how are they going to move the dial to a more acceptable increase in three weeks!? It is important that the School Board knows that the public finds a 6% tax increase (or 5% increase for that matter!) completely unacceptable! If the largest tax increase in decades troubles you, please contact the School Board at schoolboard@tesd.net and/or plan to attend the meeting on Monday. There is little new in the materials, although the annual drama production continues to unfold. We are heading to the second intermission, with a vote on the “Proposed Final Budget” on April 22nd. – The projection for benefits expense has jumped from the budgeted $15.6 million, past last December’s estimate of $16.1 million, to $16.9 million now. Still less than 2017-18’s $17.5 million. A self-funded plan is certainly going to be variable and, given the capabilities of medical billing systems, likely another area subject to timing difficulty. – So this year’s deficit is now projected at $2.28 million. – The Special Education Exception tax increase remains at 3.642% for a total tax increase of 5.964%. – The reported $4.5 million increase in purchased professional services from 2016-17 to 2018-19, on which the tax increase is largely based, remains unchanged. – Second look healthcare projections and prescription drug discounts have reduced budgeted expenses by $575,000. – With the 6% tax increase and the latest expenditure numbers, next year’s budget is now projected to have a slight surplus. — What expenditures were incurred for Special Education services provided by the CCIU in 2016-17 and 2017-18? — If those expenditures were different to those provided to the Department of Education to authorize the tax increase Exception, what action does the Board plan to take? — How should the community reconcile the county-certified assessment history of assessed value used by the Townships, showing a 1.2% increase in the past year, to the numbers submitted by the School district to PDE, showing a 2.5% increase?